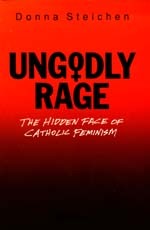 The author, a Catholic journalist, fully exposes the hidden face of Catholic feminism, revealing its theoretical and psychological roots in the loss of faith. Extensively documented, it provides detailed information on Catholic feminist theologians and organizers; the movement’s defense of abortion, connections with witchcraft, New Age rituals, and disastrous effects on the Catholic faithful. 420 pp.